What happens when a worldly, vigorous, successful married man discovers that his is dying, and immediately embarks on a new love affair of awesome depth and force? And how is it possible that his commitment to his wife and children can remain absolutely unbroken all the while? Only a write of outstanding skill could handle these questions with consistent seriousness, and without evasion or sentimentality. 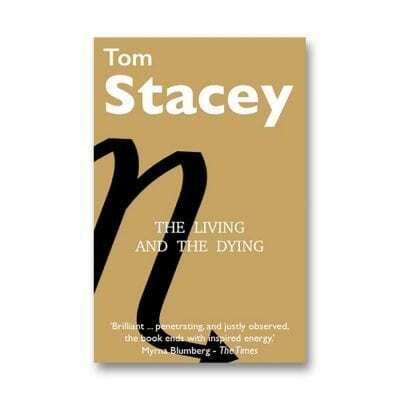 Yet Tom Stacey is not merely equal to the challenge: through the almost intolerable situation which he has created, he swiftly leads his central character, and the reader, to confront the tragedy and wonder at the heart of human love. This achievement on its own would confirm him as a writer of the highest calibre. But further evidence includes the presence of a likeable narrator —an old friend and doctor — whose half-chosen loneliness is increasingly questioned by events; the deft reality of a setting in London and Paris; and the the enigmatic yet vital figure of an aged poet-priest who alone can finally draw the strands together. The Living and the Dying is far more than a classic double love story: it is a novel of rare quality, beauty and power.